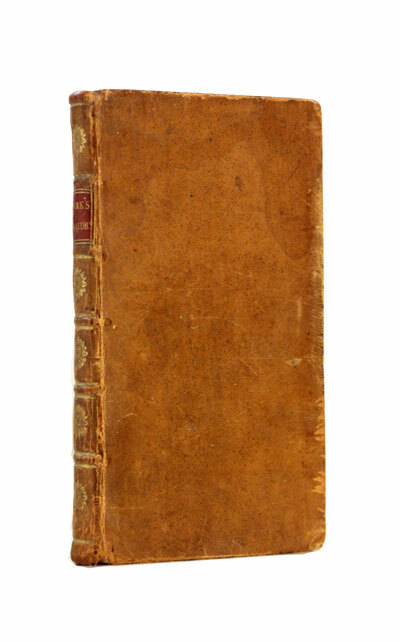 Publisher: London, 1777. The very very rare third edition. Printed for G. Kearsley, at (no. 46) near Searjeant’s Inn in Fleet-Street; sold by W. Skropshire, in New Bond Street J. Ridley, St. James’s Street; J. Walter, Charing Cross; Richardson and Urquhart, at the Change; and J. Sewell, in Cornhill. Condition: Hardcover, full leather, in very good condition for its age. Hinges cracked, but binding firm, clean interior. Gorgeous book. So much European tradition in such a little volume! With gorgeous and very detailed engravings of armour, flags, weapons, crowns, etc. Heraldry is a broad term, encompassing the design, display, and study of armorial bearings (known as armory), as well as related disciplines, such as vexillology, together with the study of ceremony, rank, and pedigree. 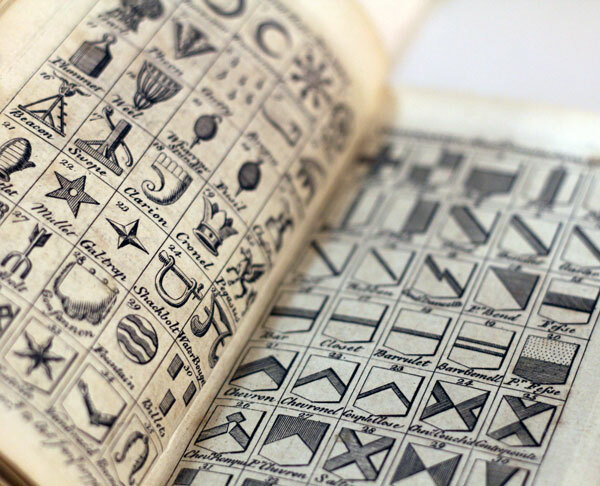 A short and easy introduction to heraldry In which all the most useful Terms are displayed in a clear and alphabetical Manner; With the Use and Dignity of Arms, the Manner of Tournaments, Croisades, Tombs and Monuments: also the Rules of Blazon and Marshalling Coat-Armours. With a concise Method of Sketching and Blazoning Arms, now in Practice among Heralds, Herald Painters and Engravers. 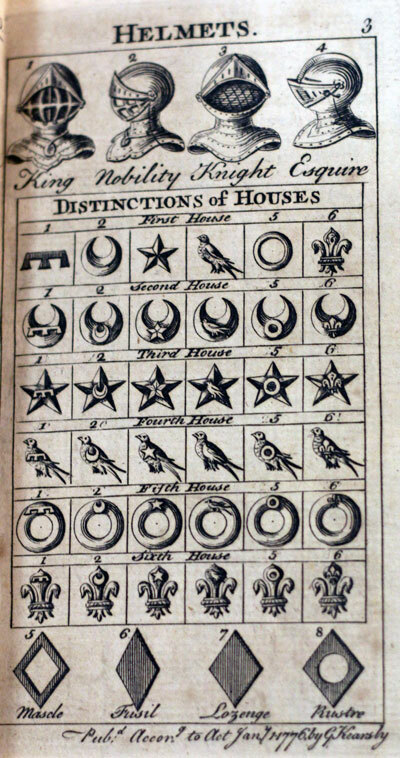 Likewise Achievements or Hatchments so familiarly explained, that a person may know, at the first view, what branch of the family is deceased; with a great number of elegant copper-plates, containing above eight hundred examples, collected from the most antient and modern authors, upon a new and regular plan. 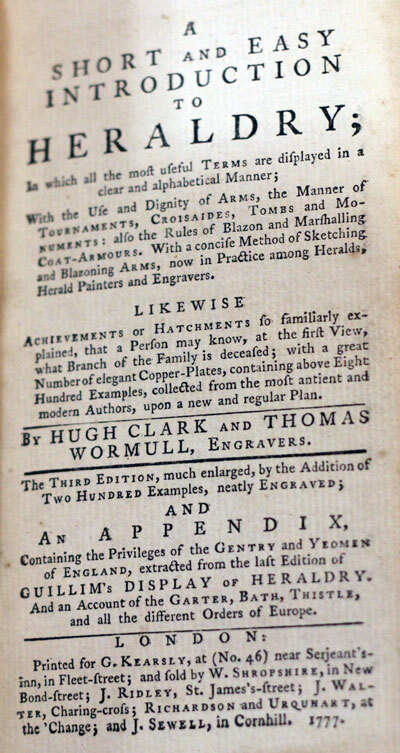 By Hugh Clark and Thomas Wormull, engravers. The third edition, much enlarged, by the addition of two hundred examples, neatly engraved; and an appendix, Containing the Privileges of the Gentry and Yeomen of England, extracted from the last Edition of Guillim’s Display of Heraldry. 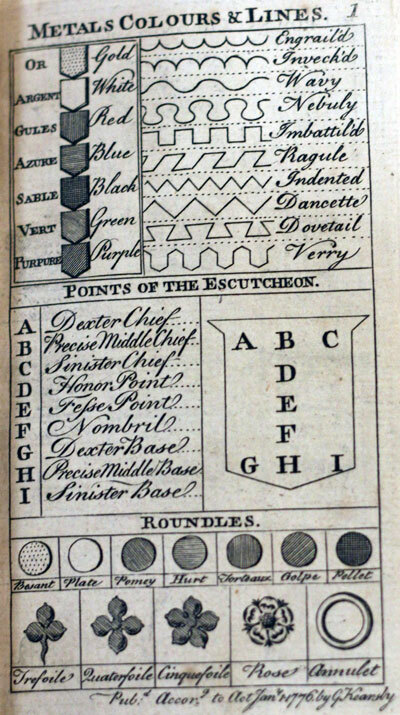 And an Account of the Garter, Bath, Thistle, and all the different Orders of Europe.